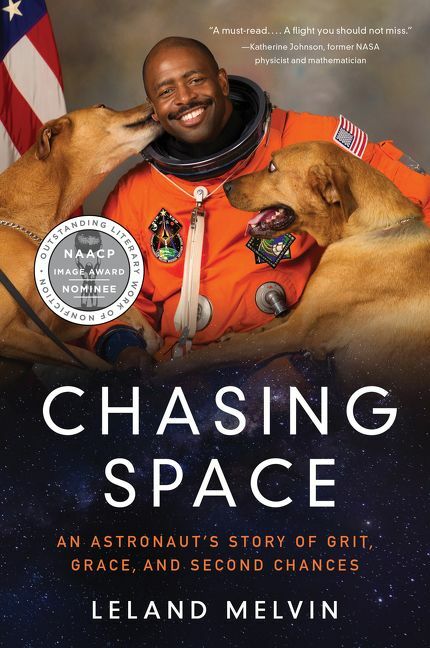 Your students may recognize Leland Melvin: his NASA photo, which he took with his two dogs, went viral in January 2015. A University of Richmond football hero and graduate, Leland, however, is much more than that—he is the only person in human history to have caught a pass in the NFL and walk in space. From a hamstring injury that ended his NFL career to hearing loss during NASA training, Leland has had more than his share of obstacles to overcome, which makes his perseverance all the more remarkable and inspirational. A former wide receiver for the Detroit Lions, Leland Melvin is an engineer and NASA astronaut. He served on the space shuttle Atlantis as a mission specialist and was named the NASA Associate Administrator for Education in October 2010. He also served as the cochair on the White House’s Federal Coordination in Science, Technology, Engineering, and Mathematics (STEM) Education Task Force, developing the nation’s five-year STEM education plan. He is the host of the Lifetime show Child Genius and a judge for ABC’s BattleBots. He holds four honorary doctorates and has received the NFL Player Association Award of Excellence. He lives in Lynchburg, Virginia. Are you a Leland Melvin fan? Sign up now for Leland Melvin alerts, including news and special offers. Thank you for signing up to receive news about Leland Melvin.